Ibanez have opted for superior playability with their SR range. 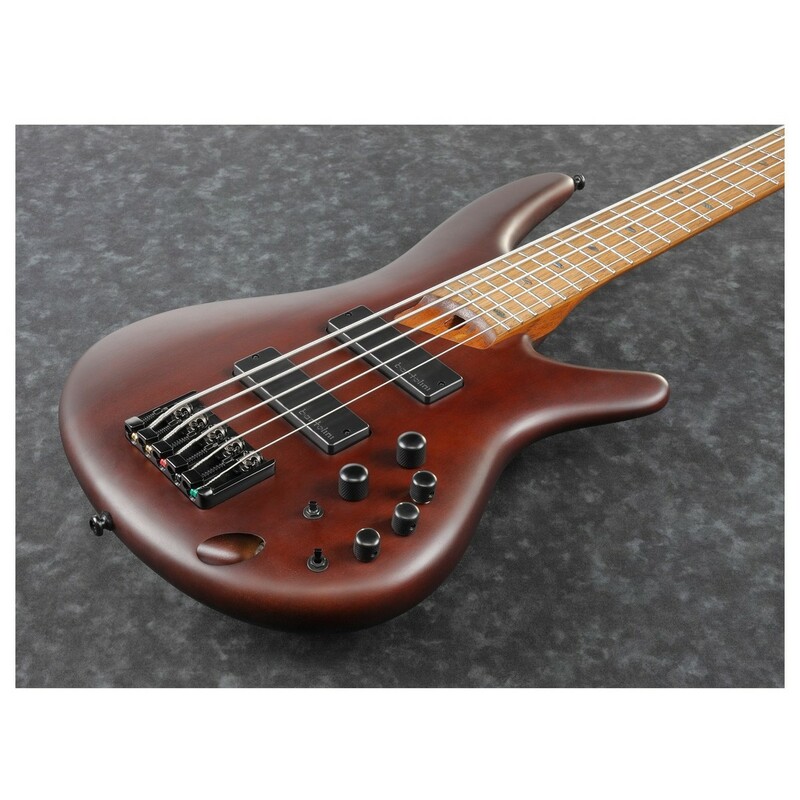 The Ibanez SR505EL bass is playable and offers a warm and fat low end. 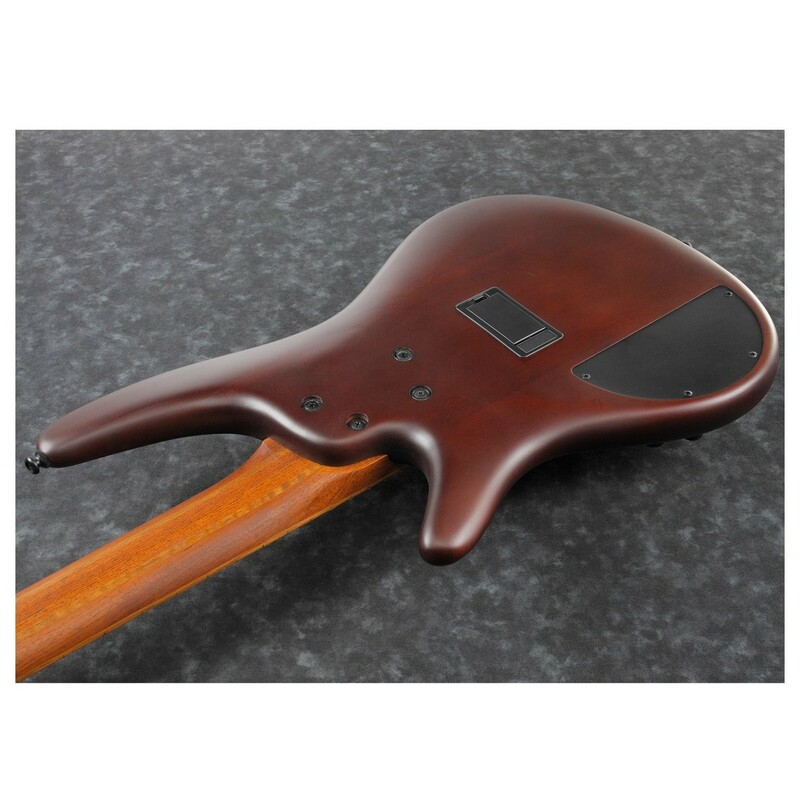 The Walnut and Jatoba neck combined with the extended neck joint makes the neck very easy to play and gives you access to the upper frets. Perfect for soloing in Jazz or playing extended bass lines in funk. 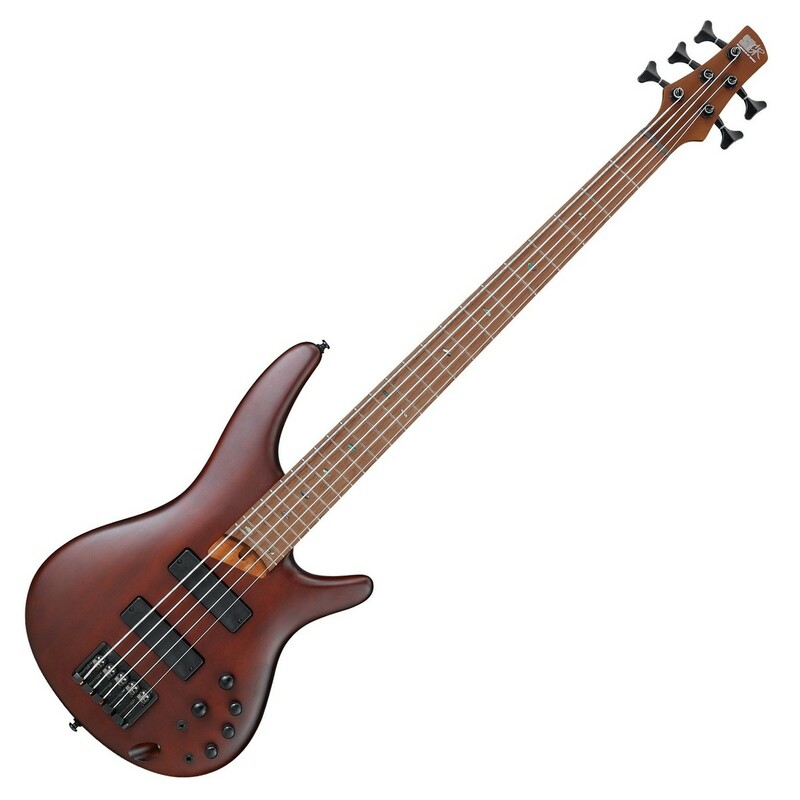 Excellent electronics, strong and stable body wood, and excellent playability make this bass a very versatile instrument. For an all-round bass machine, the SR505 is at the top of the bill. The SR505E has a beautifully crafted Okoume body which gives the bass tone a substantial low end with very fatty overtones. The excellent low end of the Ibanez SR505EL means that it is capable of driving your band's music and ensuring there is always a great foundation to play on. The bass is tough and durable due to the wood choice and can withstand a lot of abuse during a busy tour. The SR505EL is a workhorse through and through. If you're after a functional bass that won't let you down then the SR505EL is the one for you. The sturdy and stable Jatoba and Walnut combo neck offers quick left-hand movement up and down the fretboard. Important for reaching those high notes quickly and accurately. The extended neck joint gives you more notation options by unlock a section of the neck that is usually harder to reach. This makes it amazing for playing those neck traversing Jazz bass solo or those adventurous Funk bass lines. The Jatoba fretboard adds even more accuracy and makes articulating notes easier than ever. Express yourself through this excellently crafted bass guitar. Finishing off the incredible design and build of this bass guitar is a pair of Bartolini BH2 pickups. The Bartolini’s give a tight bottom end and a full mid range. The dual coil pick ups produce a nice lower resonant frequency, and provides a full tone. The pick ups have their own characteristics, the tonal output of the bass guitar can be altered with Ibanez’s own Custom Electronics 3-band EQ, the accurate controls give you full access to a range of tones. The Ibanez story is an intriguing one. The first historical mentions of Ibanez guitars come from the 1930s, when the instrument sales division of a Japanese bookstore chain began manufacturing Spanish acoustic guitars. Their strange start to life was a sign of things to come: Ibanez regularly got into legal trouble in the mid-20th century for copying the designs of Western guitar manufacturers. After a particularly costly lawsuit in the 1970s, Ibanez abandoned their strategy of using other established models as the basis for their own instruments. Instead, they began crafting their own, unique guitars in the hope of establishing themselves in the guitar-making world. This was a move that paid off massively - the individual style and sound of Ibanez's instruments set them apart from everything else available on the market, and the company quickly became a gigantic success story. In the intervening years, a wide selection of some of the music industry's biggest and best artists have used Ibanez instruments in their music. Their bass guitars have gained particularly legendary status for their unique, wide-reaching sound. They've been used in the music of many well-known artists from a plethora of genres, ranging from U2 to Slipknot, Earth, Wind, & Fire to Carrie Underwood, and Al Green to Snoop Dogg. That's why you can be certain that the SR505E is an instrument good enough for the very best.